Last time, I talked about some of the problems we can have with fitting dog training into our busy lifestyles, balancing making progress with the time we have available and keeping the stress to our dogs to a minimum. In this week’s blog, I’ll look at practical ways of fitting training into your life with your dog. In my experience, dogs tend to learn better from short, frequent training sessions rather than one or two long ones. Fitting in 5 two- or three-minute sessions a day yields more benefit than doing one long 30 minute session. That said, a 30 minute training session when you have time, can be further broken up into several mini sessions within that period, which I’ll also discuss. Your dog’s daily walk is an ideal opportunity to fit in some training. Stopping every 25 of 30 paces or so, and asking for a behaviour such as sit, look at me, or a hand touch, means that over the course or a 30 minute walk, you can fit in several hundred training trials. This also has the added benefit of helping your dog to generalise the behaviour. Dogs don’t tend to generalise training very well, which is why you may find it very easy to ask your dog to perform a behaviour in your house or in the training class, but wonder why he has difficulty with the same request in a different scenario. When you are out on your walk, the environment, from the dog’s point of view, is constantly changing. The position of street furniture like lamp posts and bus shelters constantly changes as you are walking as do driveways, parked cars etc. Whereas we see the area we are walking around as our neighbourhood which is familiar, from the dog’s perspective, it is a changing environment. The more we ask a dog to generalise his behaviour, the easier it becomes for him. One of the other plus sides we from training on our walk is that we can use the changing environment to reward the dog for doing what we request so we don’t have to rely on food rewards or toys. Dog’s like to sniff, explore, greet other dogs and people etc, so we can use this to reinforce behaviour. We walk along the street, stop and ask our dog to sit and when she does, we release her to go and sniff the lamp post as a reward. If we use a portion or the dog’s daily food as training rewards, we can always have it handy in the house. This way, when we are waiting for the kettle to boil if we are making a cup of tea, we can do a dozen or so repetitions of a behaviour we are working on. Television is now able to be paused when we are watching it. This means that if we are watching one of our favourite shows, we can train during the adverts (commercial break to those outside the UK) and pause it as the show starts again. What this allows us to do it do two 6 or 7 minute sessions during an our long episode of CSI New York or Grey’s Anatomy, by pausing the show during it’s broadcast, train for a few minutes, and then fast forward through the next set of adverts/commercials to catch up the time we have lost during training. It also has the added benefit of using our precious time to our advantage and not have to sit through mind numbing adverts for mis-sold PPI. We have then spent an hour watching our favourite Tuesday night drama and training our dog for 12-15 minutes as well. Finally, when we take our dog to the park, we can use the time to train our dog as well as exercise him, again using the same life rewards such as running off leash and sniffing etc to reinforce our training. 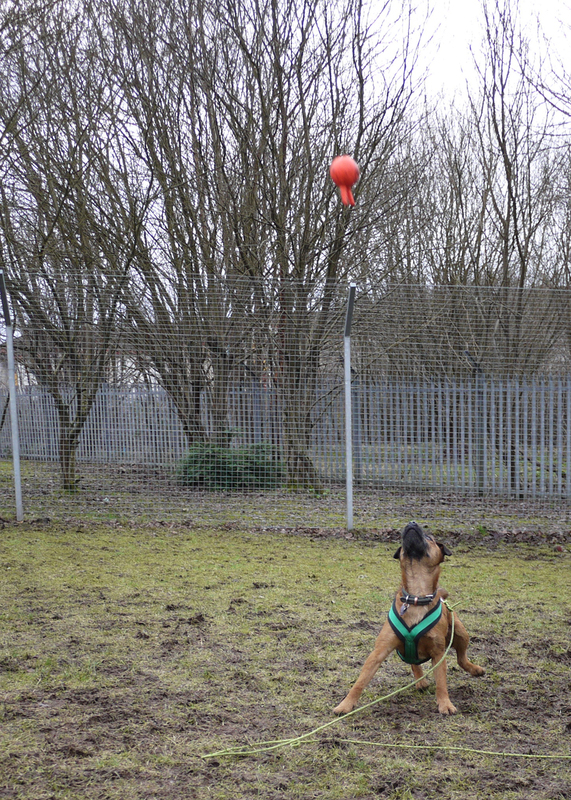 When you bring the ball out, ask the dog to sit, lie down, bark, touch your hand etc before you throw the ball. When you see another dog approaching, recall your dog, and then release him to go and say hello as a reward. Using this method, we can fit in dozens of training opportunities into a 45 minute of leash walk in the park. Until next time, happy dog training. Revised April 2014. I would advise a little differently now, being more aware of the dog’s need for social interaction. Before I start with the topic of this blog, I’ll define punishment in terms the science of learning theory. Punishment is anything which causes a reduction in the intensity, duration and/or frequency of the immediately preceding behaviour. If it doesn’t cause a reduction, then by definition, it is not punishment. We all have busy lives, some more than others. When we bring a dog into our lives, we owe it to our dogs and to ourselves to ensure we have adequate time to take care of all our dog’s needs. Fitting daily walks and exercise, mental stimulation, grooming and training into lifestyles already packed with work, our own exercise requirements and looking after children can be difficult. When we have a dog with a serious behaviour problem or training issue, finding the time can be even more problematic. If you are a returning reader to my blog, you will be aware of my ethos regarding dog training and behaviour modification. I use no physically aversive training methods and don’t use fear or intimidation to train dogs, nor do I teach it. Now, given unlimited time and resources, which many of of wish we had but few have the luxury of, we would train our dogs with the absolute minimum stress possible. We would have the time to always train our dogs to do what we want them to do in every scenario. Unfortunately, this isn’t realistic for the vast majority of us. An example of this is a dog I worked with the other night. The clients are a couple who both work and have two young children of school age. They have a friendly young retriever who is great with people and other dogs. She is well cared for and healthy. The issues with the dog are that she greats people inside and out of the house by jumping on them and she barks for attention at her owners in the evenings when they are watching television. The dog has all of her basic requirements met in that she is walked and played with everyday among everything else. It would be possible for us to teach this dog to lie down or sit with no distractions and then gradually move up to the level where she is able to cope with the distraction of people coming into the house without jumping on them. This takes time and a lot of effort on the part of the owners, and they probably don’t have the time to do this. The course of action I suggested was to have the dog on leash when people came into the house and not allow her to greet them until she calmed down. When she offers calmer behaviour, the leash is dropped and she is allowed to go and say hello. If she acts up again, the owner quickly picks up the leash again without any fuss or talking to the dog, and removes the dog from the visitor. The dog learns that the faster she calms down, the faster she gets to say hello to the visitor, which she wants to do, and that excited behaviour causes her to be removed from the guest. All of this is done without hitting, shouting, spraying the dog or scaring her, but if we are consistent and do it every time, the dog will get the idea and behave more appropriately. Now, this method of teaching her has the potential to be more stressful for the dog, as removal of the chance to say hello is the motivating factor, rather than the dog being solely rewarded for good behaviour. Good behaviour causes the dog to say hello, “bad” behaviour means she doesn’t. It’s simple and easy to apply, and will work in many cases as long as we are consistent in it’s application so the dog learns the rules. When using any punishment (in the strictest behavioural sense as defined above) the consequence needs to be unpleasant enough for the dog to want to avoid it – here it is unpleasant for the dog to be removed from the guest – and because it is unpleasant, it has potential to cause the dog stress. As long as we are minimising the stress involved, and pairing it with rewarding the dog for good behaviour, the effects of the stress are reduced. Given that the less stressful alternative of teaching the dog under increasingly more difficult distractions takes time, which the owners don’t have, we need to come up with a plan which they can implement and has the lowest stress levels. There is no point in advising a stress free course of action which they cannot or will not follow. The dog doesn’t get trained, the behaviour doesn’t change and the overall stress to the dog over it’s lifetime doesn’t reduce. Appropriate use of physically force free punishment is a necessary part of learning. Frequent evalution of all training methods to ensure the dog is learning what we want it to learn and changing things which don’t work will help to minimise stress. That said, it is unrealistic to attempt to completely eliminate stress from our lives. All living creatures in nature are under some sort of stress, whether that is finding food or a safe place to sleep away from predators. 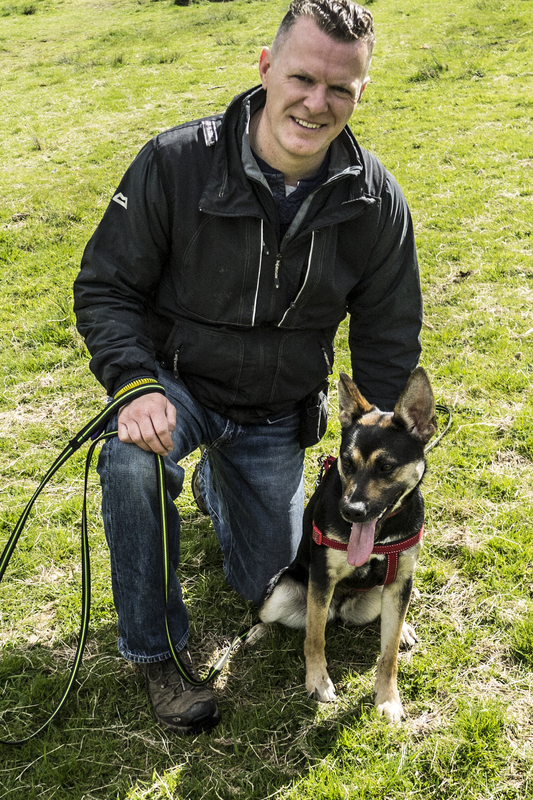 Dog training is sometimes about a compromise between what is realistic for owners and minimising stress for the dog while always being guided by our own moral compass as to what we are willing to do to our dogs in the name of training. In part two, I’ll offer more practical tips on how to make time for constructive, effective dog training.